Praise God for His word is true. 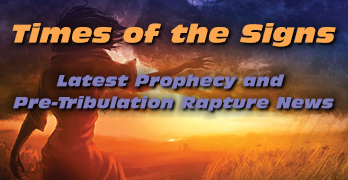 Many will scream that the rapture could not have happened for they are still here. God would never have rejected such a good person. God has not rejected you. You have rejected him. He gave you His Holy word with the Bible, he sent His only Son to die for you, gave you the Holy Spirit to testify to the truth, He laid out the truth of what was to come and still you rejected Him. My guess is you’ll curse Him now for judging you unworthy of Heaven. Please do not. He loves you and it is not too late. Yes you’ll have to go through hell on Earth first, but you will be saved in the end. The time has come for you to give yourself to Jesus. Odds are you will not survive the coming years and many will perish over the course of what remains of history, so don’t delay. Pray today. It’s now time to dust off those Y2K survival guides because this time it’s not a false alarm. Once you have accepted Jesus as your savior you will need to stay alive. Prepare for the world’s worst earthquake, World War III, disease, destruction of trees and grass, the pollution of water and the inability to purchase anything without the “MARK OF THE BEAST.” Gold will more than likely be your only way to get around the mark. Stockpile it now. You don’t have a lot of time. If there has been a 7 year peace treaty between Israel and a charismatic new world leader then you have seven years to try and survive until the glorious appearing of our savior, Jesus Christ. Save drinking water, food stores, vitamins, medical supplies and a safe place to hide. Grab a bible now! There may come a time when it will be impossible to obtain one and illegal to own one. It can give you the truth better than my simple words ever could. God has given you His words in an attempt to save you from this hell thousands of years before it happened and you put it off. I humbly send you this letter 7 years before the return of Jesus so you may seek His truth and be saved. Do Not Put It Off.